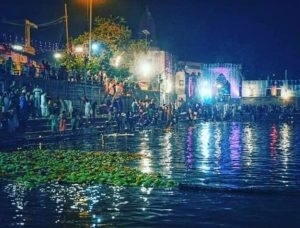 Hundreds of thousands of people gathered at Radha Kunda to receive the blessings of Kundeshwari Shri Radhe, on the auspicious day of the appearance of Her precious lake. Pilgrims from all parts of India and many foreign visitors gathered to wait for midnight and immerse themselves in the most exalted pilgrimage place. In comparison with previous years, this time there were more security measures in order to avoid serious inconveniences and risks of drowning. There were two boats on the lake that continuously watched the bathers and prevented people from going far beyond the established barriers. We were able to contemplate this fabulous confluence of Vaishnavas from all over the world from the Tinkori Goswami Ashram. 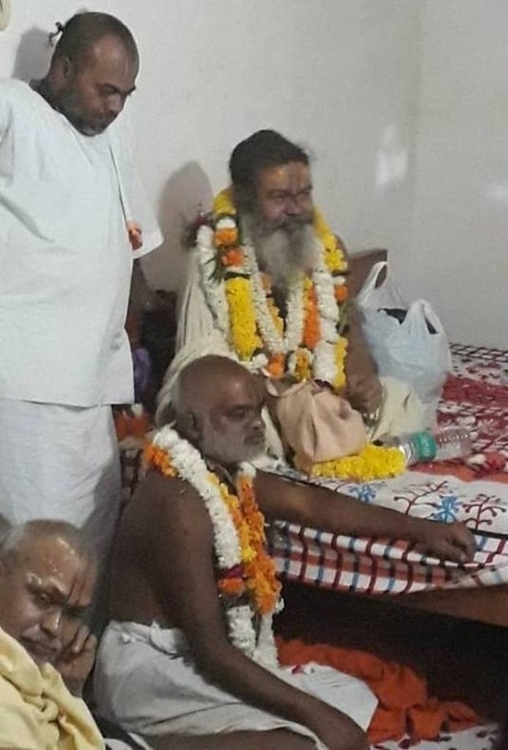 There, we waited for the arrival of two great sadhus of Vraja — Shri Vinod Bihari Das Babaji and Shri Murari Das Babaji. On the ashram roof there were many devotees and Vinod Bihari Baba gave his affectionate gaze to each of his bhaktas, expressing himself through his gaze and gestures, as he could not speak due to the mauna-vrata (vow of silence) he undertakes throughout the month of Kartik. His sweetness and affection captivated everyone. 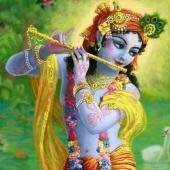 When Vinod Baba and Murari Baba went to bathe, all their followers went after them producing a great tumult and pleasant atmosphere. Everyone felt blessed to share that moment with these two exalted suddha-bhaktas, whose presence made the atmosphere more spiritually festive. 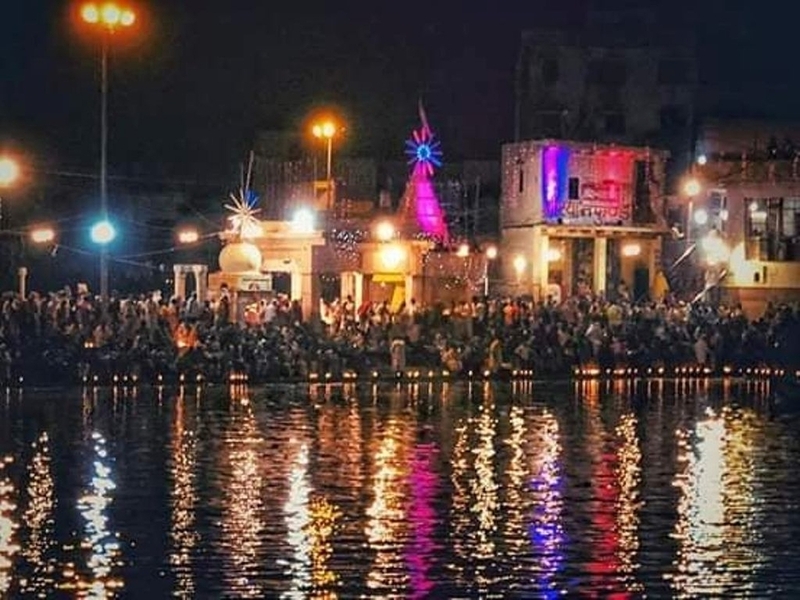 The Bahulashtami celebrations were extended throughout the next day and many more devotees continued to arrive at Radha Kund to immerse themselves in the auspicious waters. Bahulashtami is also called Ahoi Asthami. On the eighth day of the waning phase of the Damodar month, the Ahoi Ashtami is celebrated. Traditionally, mothers observe a fast on this day for their sons as it is said that mother Yashoda used to observe this fast for the well-being of her son Krishna. On this day, some take snan while praying for the welfare of their children, others pray to conceive, and others simply pray for Shri Radha Rani’s mercy.